Conscience. An inner feeling or voice viewed as acting as a guide to the rightness or wrongness of one's behaviour. Emily has been pushed around all her life. When she's finally pushed too far and comes to a dramatic crossroad in her life, how will she deal with her conscience and the possible consequences? 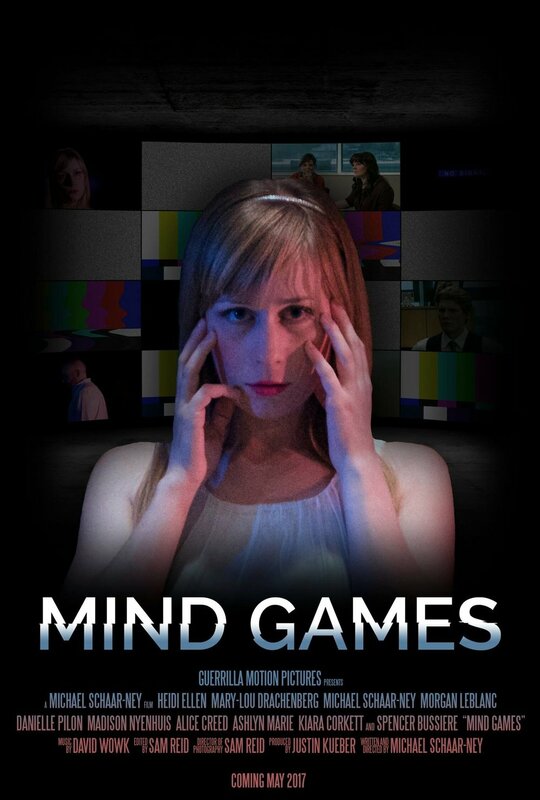 Produced by Justin Kueber and Guerrilla Motion Pictures, Mind Games is a psychological short film written and directed by Michael Schaar-Ney starring Heidi Ellen (I Phub You) and Mary-Lou Drachenberg. An official online release is coming soon.